I love the intensity of man on the left who is looking directly at the photographer. 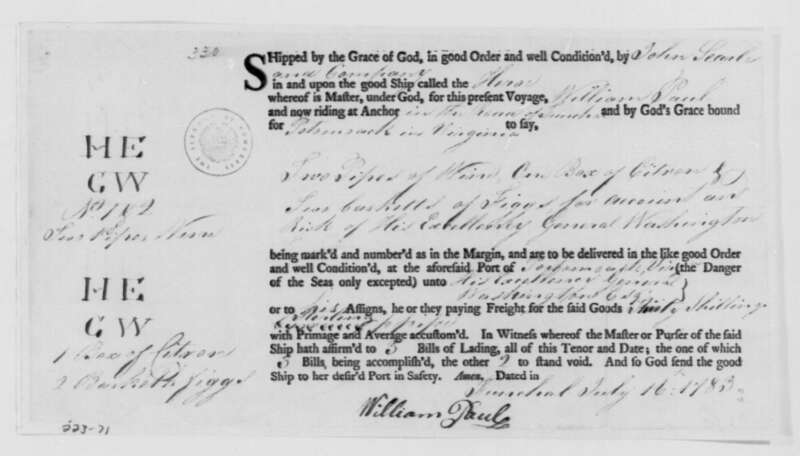 The image in today’s post features a bill of lading from John Searle & Company to General George Washington. A bill of lading is a document used in international commerce to detail the goods being shipped as well as transfer title. I often look at these bills when I study early Presidential wine orders. They sometimes contain additional information that has not been transcribed such as the markings used to identify the goods. These markings often take the form of the recipient’s initials and the type of wine if several were being shipped. This particular bill covers two pipes of Madeira, two baskets of Portuguese figs, and a box of citron. The letter that accompanied the bill of lading describes the Madeira as, “Two other Pipes of very choice Particulr Madeira Wine, of a fine Amber Colour, High Flavour, & Three years Old”. What I find interesting about this bill are the initial “HE” and “GW”. “GW” are clearly the initials of George Washington. But what of “HE”? 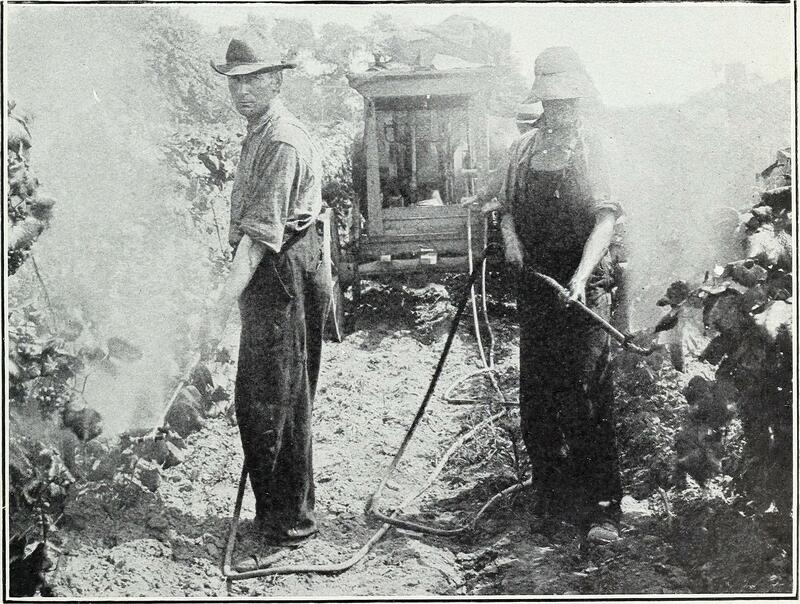 John and James Searle were agents in Madeira for Mayne, Burn, & Mayne so those do not match. The answer lies in the bill itself which declares the goods for “His Excellency General Washington, Esq.” Thus “HE” stands for His Excellency. “To George Washington from John Searle, 15 July 1783,” Founders Online, National Archives (http://founders.archives.gov/documents/Washington/99-01-02-11598, ver. 2014-05-09). Source: this is an Early Access document from The Papers of George Washington. It is not an authoritative final version. The British Library hosts a fantastic website for the Endangered Archives Programme. This program seeks to preserve and digitize documentary archives from around that world that are deteriorating or about to be discarded. The photos featured in this post are sourced from Georgia’s central state audio-visual archive. This archive was established in 1944 and contains photographs that date back to 1858. It is believed that the early photographs will be totally destroyed within one or two decades. 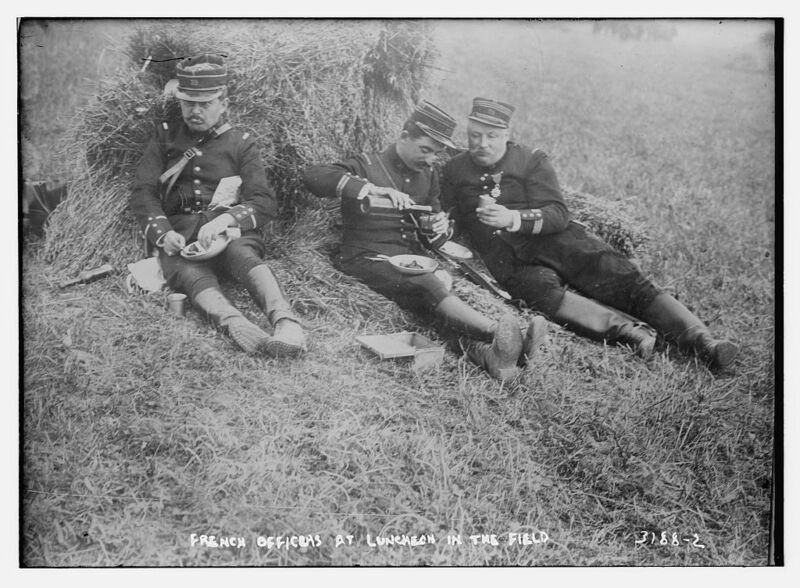 This archive is in the process of being surveyed so there is a broad but sparse set of photographs available online. I am always searching through archives so was thrilled to find three wine related photographs taken by Constantine Zanis in the late 19th to early 20th century. 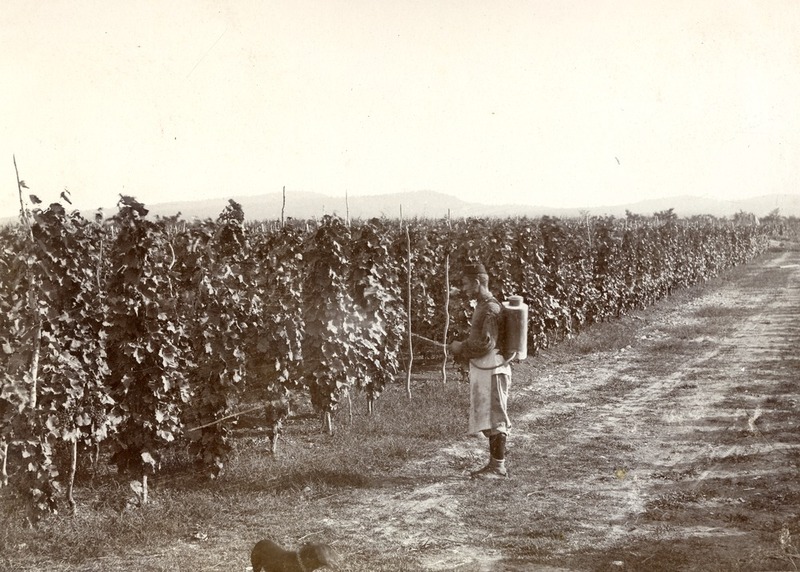 Digital copy of a photograph showing a man tending a vineyard in the Kakhat’i region. Photographer: Constantine Zanis. Date: undated. EAP057/1/5. British Library. I have chosen two photographs that were taken in Kakhat’i region of Georgia. The first image shows a man spraying vines from a tank on his back. Perhaps the dog in the foreground is his companion. The second image is fantastic, showing two men stomping grapes in a hollowed out log. Some evidence of the construction of this trough appears at each end where wooden pegs are sticking out. The left side of the trough appears to have some sort of tool handle, perhaps that of a rake or shovel. There also appears to be a lid for the trough leaning against the wall. Do you think the lid was used when the press was empty? 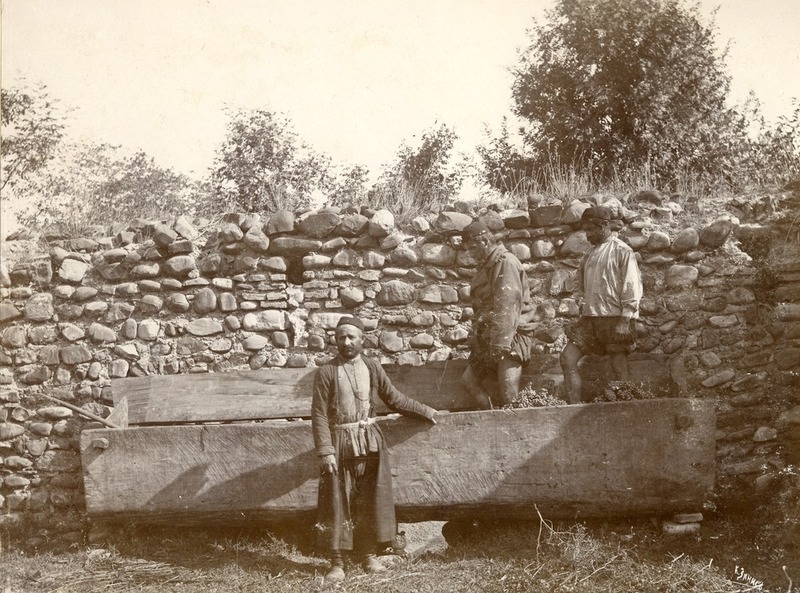 Digital copy of a photograph showing three men pressing grapes in the traditional method. Photographer: Constantine Zanis. Date: undated. EAP057/1/5. British Library. The wines of Jean-Marie Rimbert always provide interest and personality at affordable prices. I recently tasted Jean-Marie Rimbert’s Carignator which is made from deadly old vines. That wine was made from pure Carignan. 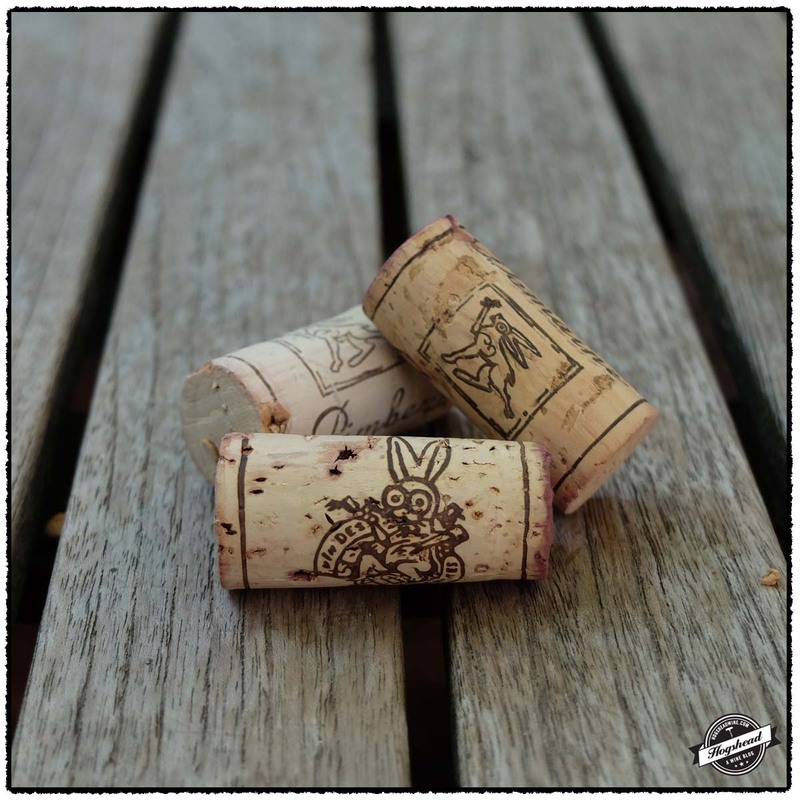 This post features two vintages each of Les Travers de Marceau and Les Mas au Schiste both of which are Carignan based blends. 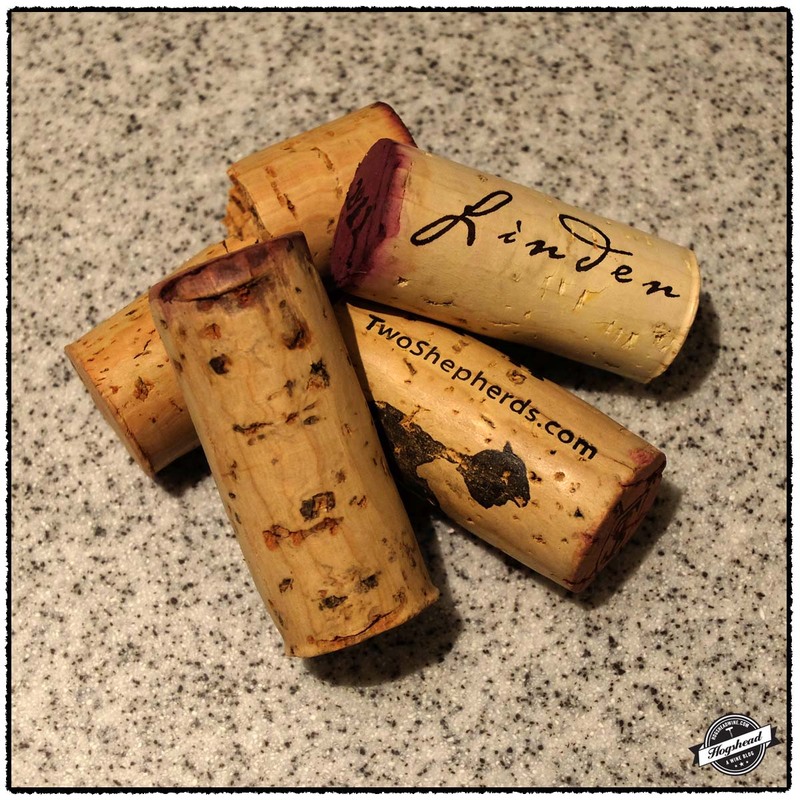 You may find background information on these wines in my post about Domaine Rimbert. What I enjoyed about these four wines is how they wear the vintage variations. 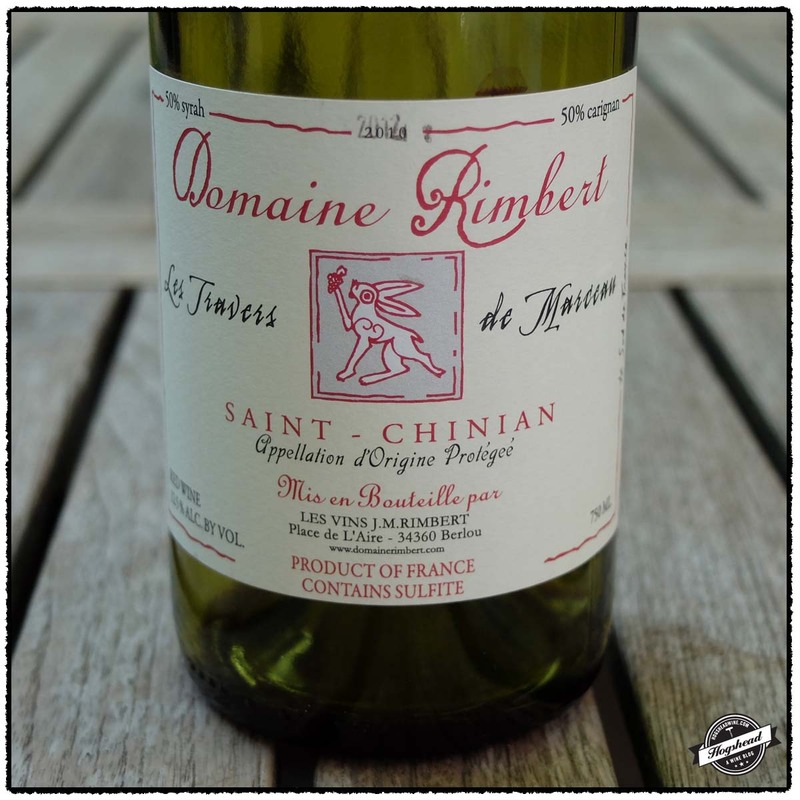 The 2012 Domaine Rimbert, Les Travers de Marceau, Saint-Chinian was the most forward of the wines, though this took several hours of air. 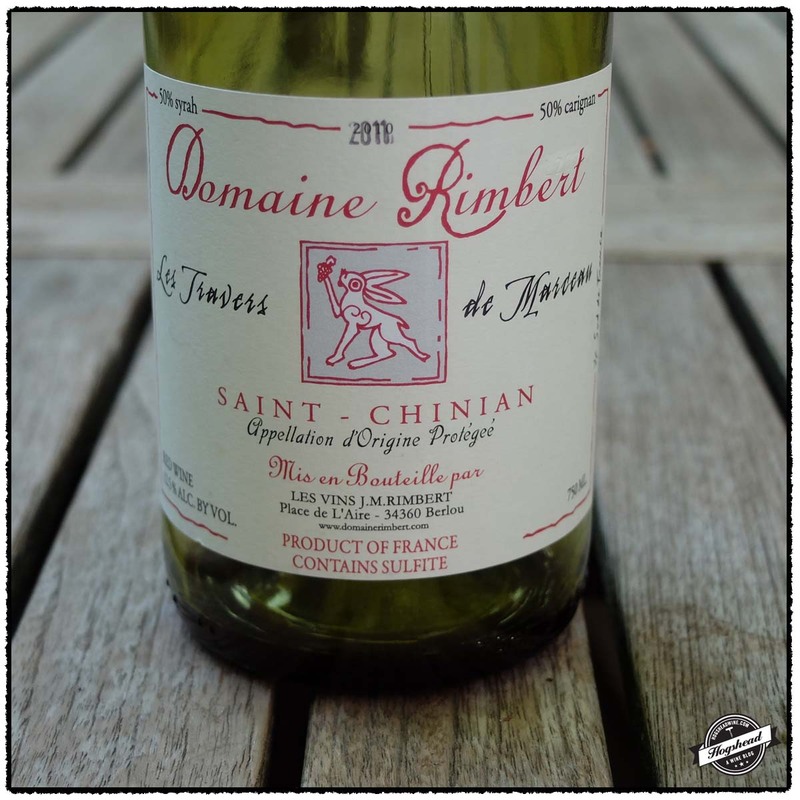 On the first night it overshadowed the 2011 Domaine Rimbert, Les Travers de Marceau, Saint-Chinian which took until the second night to show that good stuff is yet to come. 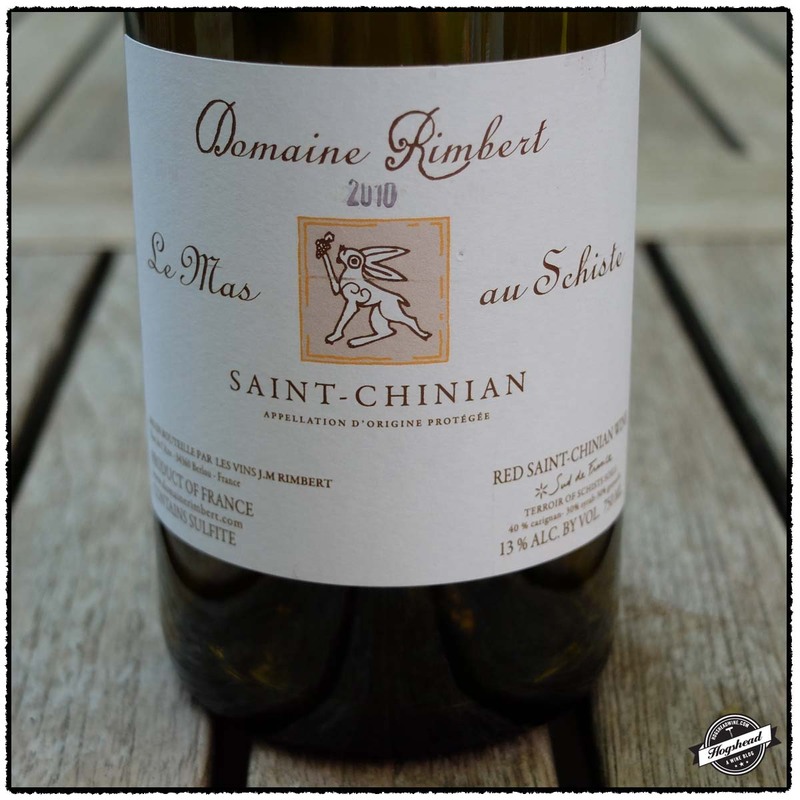 The 2010 Domaine Rimbert, Les Mas au Schiste, Saint-Chinian has a complex nose but ultimately remained tight in flavor. 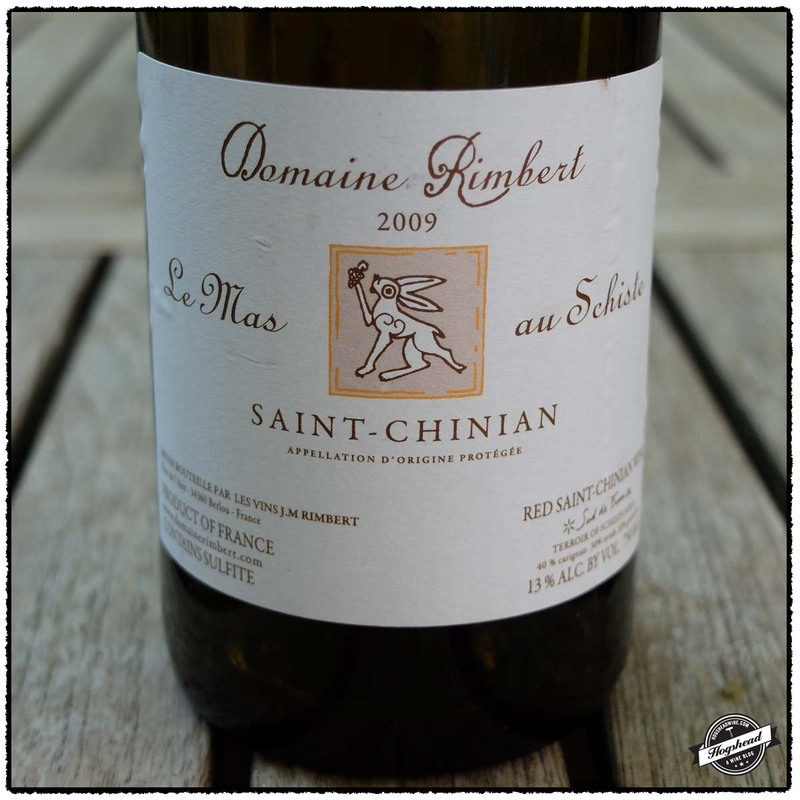 The 2009 Domaine Rimbert, Les Mas au Schiste, Saint-Chinian was lighter and less rounded than the 2010 vintage. It too sports a complex nose but this time it was more old-school rather than fruity. All four of these wines will continue to benefit from cellar age. I would stash a few away while you can still purchase them. 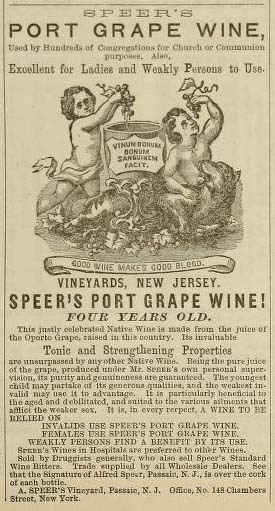 These wines were purchased at MacArthur Beverages. Imported by Dionysos Imports. This wine is a blend of 50% Syrah and 50% Carignan. Alcohol 12.5%. The nose revealed raspberry candy aromas. The mouth followed the nose with raspberry flavors that were tart on the tongue. It show orange notes that took on some weight as the wine picked up low-lying black structure. This wine clearly needs air! It had some black tea notes followed by graphite and butter in the lively, flavorful finish. *** 2015-2018. Imported by Dionysos Imports. This wine is a blend of 50% Syrah and 50% Carignan. Alcohol 12.5%. The flavors played it closer showing more drying structure at the end. With air the wine developed some puffy flavors followed by a nice lipstick finish and aftertaste. **(*) Now – 2018. Imported by Dionysos Imports. 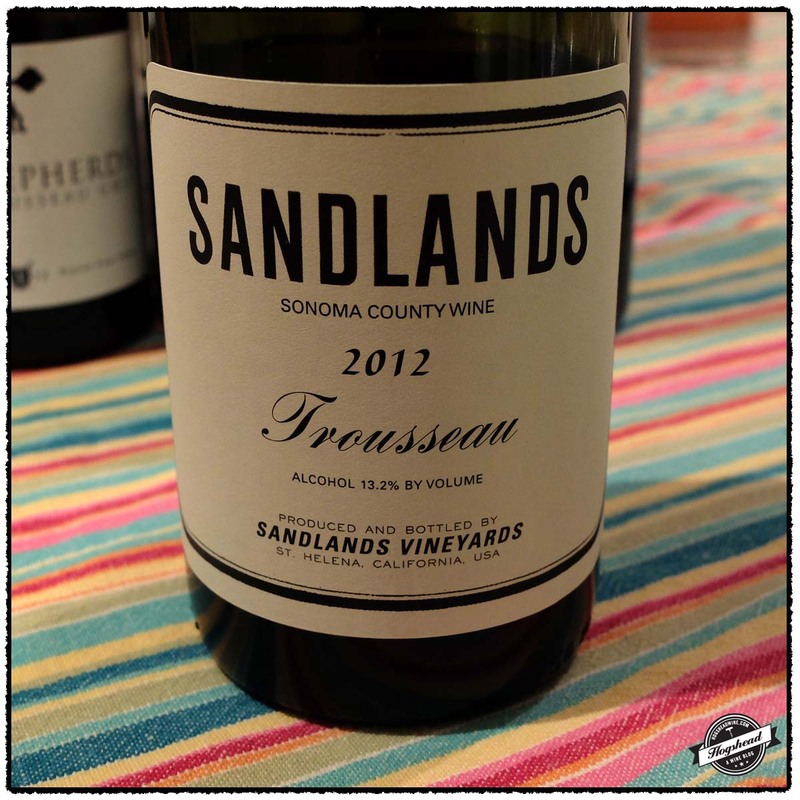 This wine is a blend of 33% Carignan, 33% Syrah, and 33% Grenache with 33% aged in old barrels. Alcohol 12.5%. The nose was complex with floral and fruit aromas that developed notes of sweet, sugared black tea. The flavors filled the mouth with tart and ripe fruit. 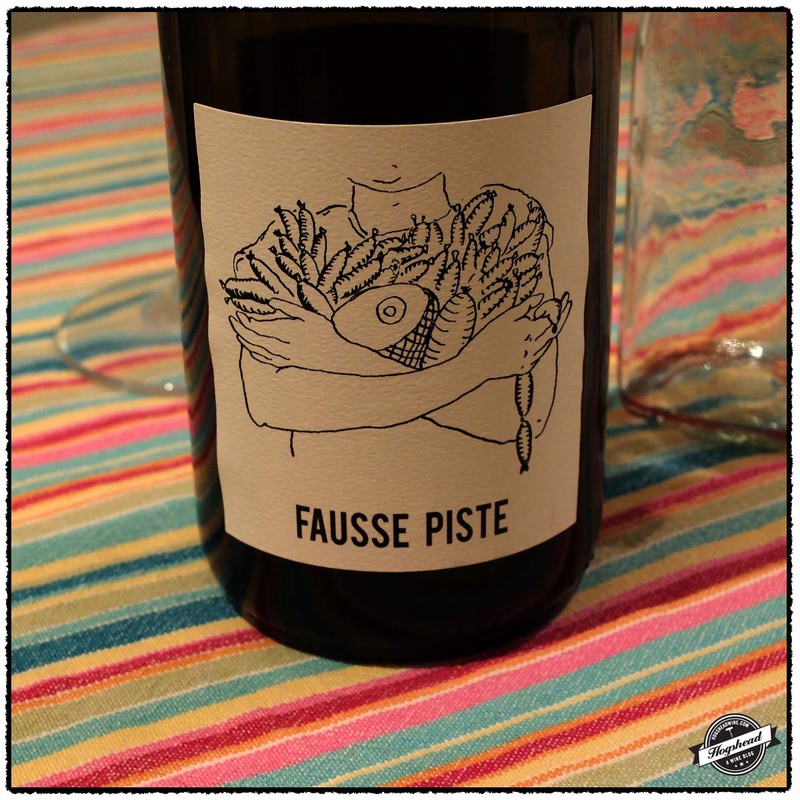 There was a roundness to the wine with a sense of approachability but ultimately it remained tight. 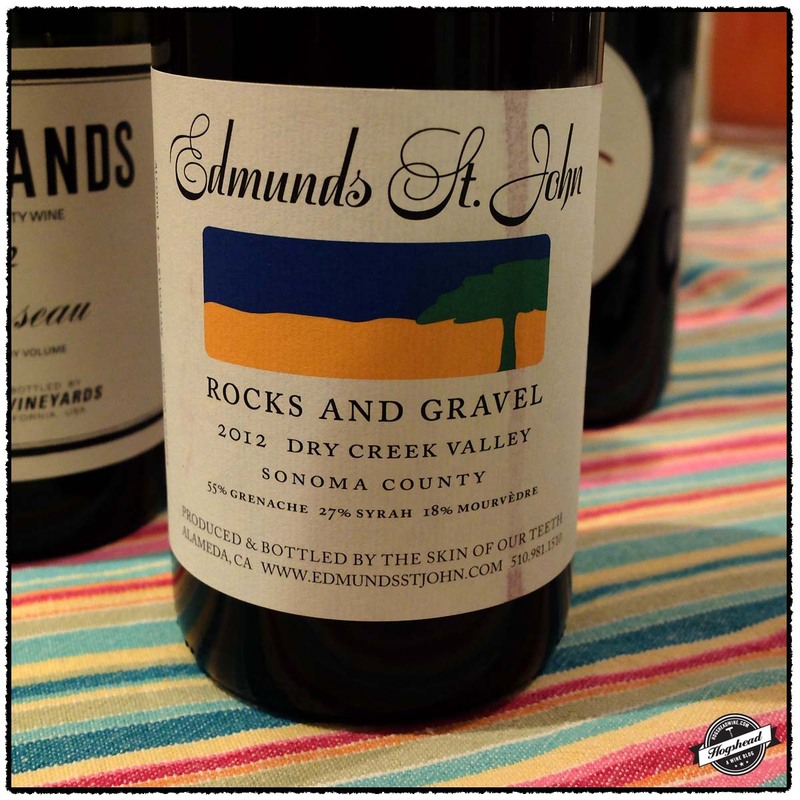 It took on wood and stone notes with the dry, structured finish. **(*) 2015-2020. Imported by Dionysos Imports. 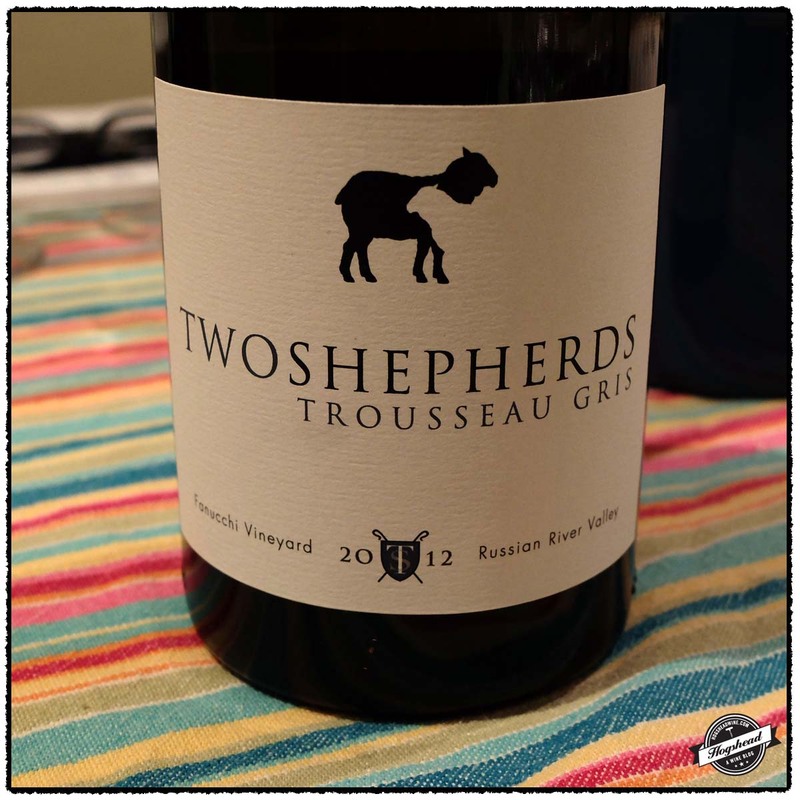 This wine is a blend of 33% Carignan, 33% Syrah, and 33% Grenache with 33% aged in old barrels. Alcohol 12.5%. The nose bore attractive, old-school aromas. In the mouth were tart red fruit flavors that had no edges. 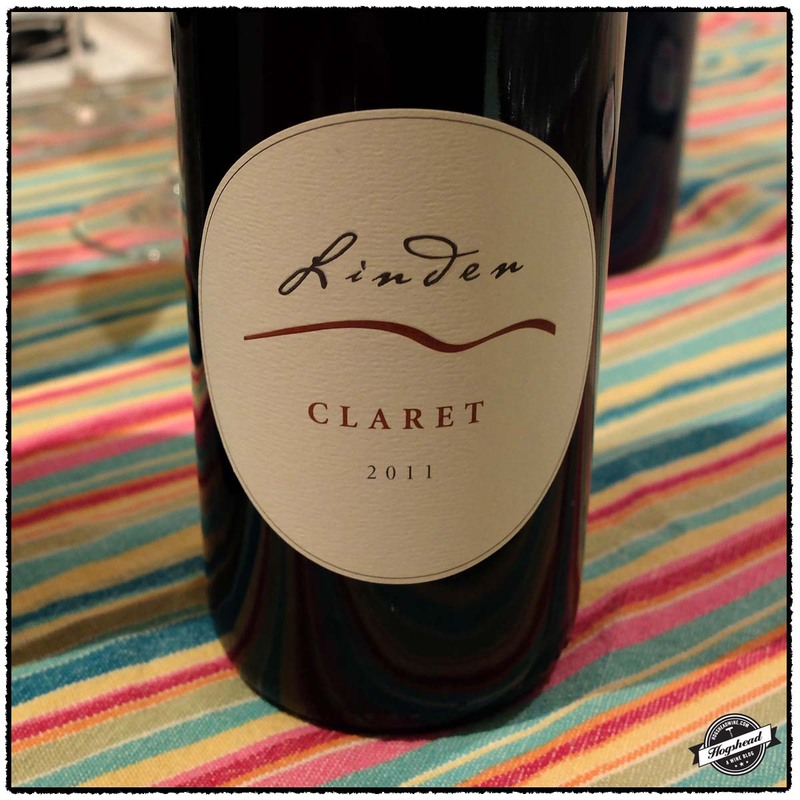 The flavors morphed to firm black fruit that had a lightness of flavor. 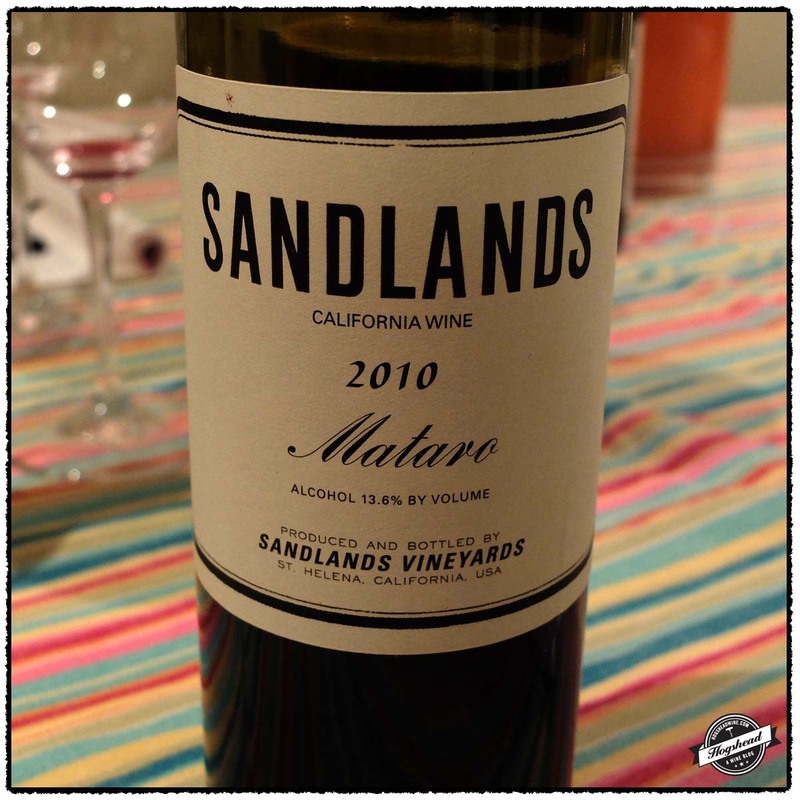 This uniquely flavored wine took on notes of dried tea and herbs that matched the acidity. **(*) Now-2019. These officers appear to be drinking red wine out of metal cups and a glass tumbler.